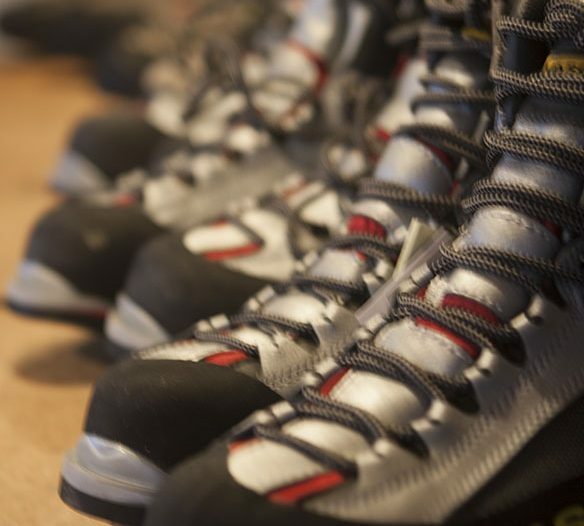 Ice climbing boots, crampons, and ice axes are now available to rent in Sandstone, MN. Hard Water Sports has added ice climbing equipment to our rental department. 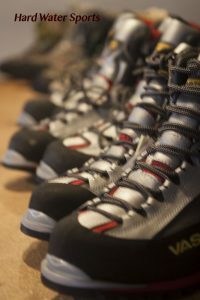 Ice climbing boots from size 5 to 14, many are the Vasque m-possible boots designed specifically for the sport of vertical ice climbing. We now have ice climbing crampons from Grivel and Black Diamond. Ice climbing axes from Petzl, Black Diamond and Grivel. We also have harnesses, helmets, and rock climbing shoes available to rent. 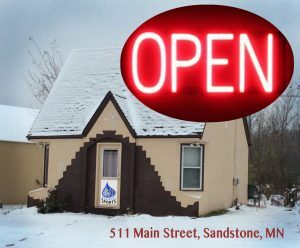 Just 2 minutes from the Sandstone, Minnesota Ice Park we are the quickest and easiest ice climbing gear shop. Super easy pick and delivery, extended hours and after hours gear drop off, and free parking !! It’s always best to call ahead to reserve ice climbing gear. Call Hard Water Sports and we’ll do our best to help you out. Forgotten climbing boots or harness ? Need a sleeping bag, tent, belay device ? In the fall of 2017 Hard Water Sports moved our base of operations from St. Paul to the small town of Sandstone, MN. across from the post office in downtown Sandstone, just 2 minutes from the climbing.